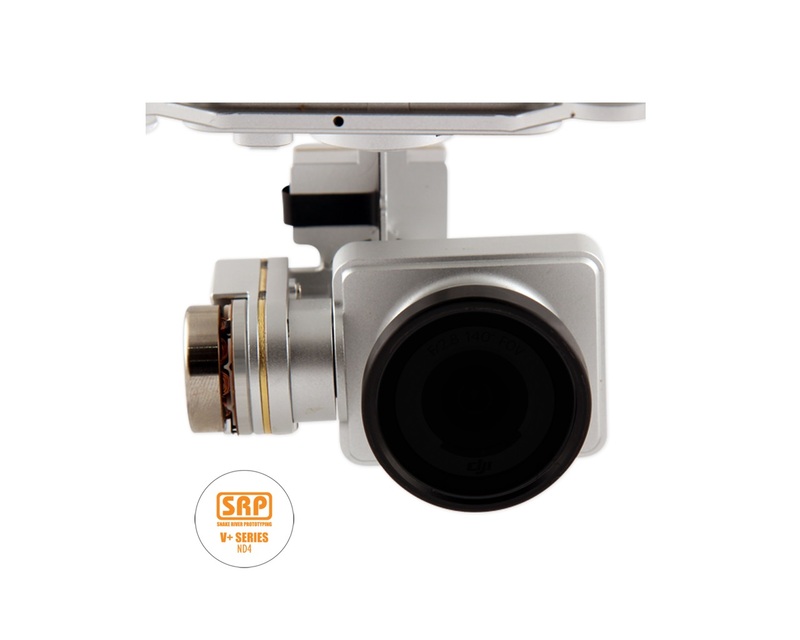 The V+ Series Neutral Density 4 Filter combines a lightweight slip-over filter frame for the DJI Phantom 2 Vision+ camera with a professional grade neutral density 4 (ND4 or ND0.6) filter. A neutral density filter is used to reduce the effects of rolling shutter including the jello effect and prop blur. Filter weight is only 7.2 g, or 0.25 oz! Each V+ Series Filter is made from two CNC machined Delrin® pieces so that the filter frame can be disassembled to facilitate easy cleaning of the filter glass. Delrin, which is more costly than billet aluminum by volume, was selected because of its high quality and excellent machining qualities. The Vision+ camera lens body can vary slightly from camera to camera. 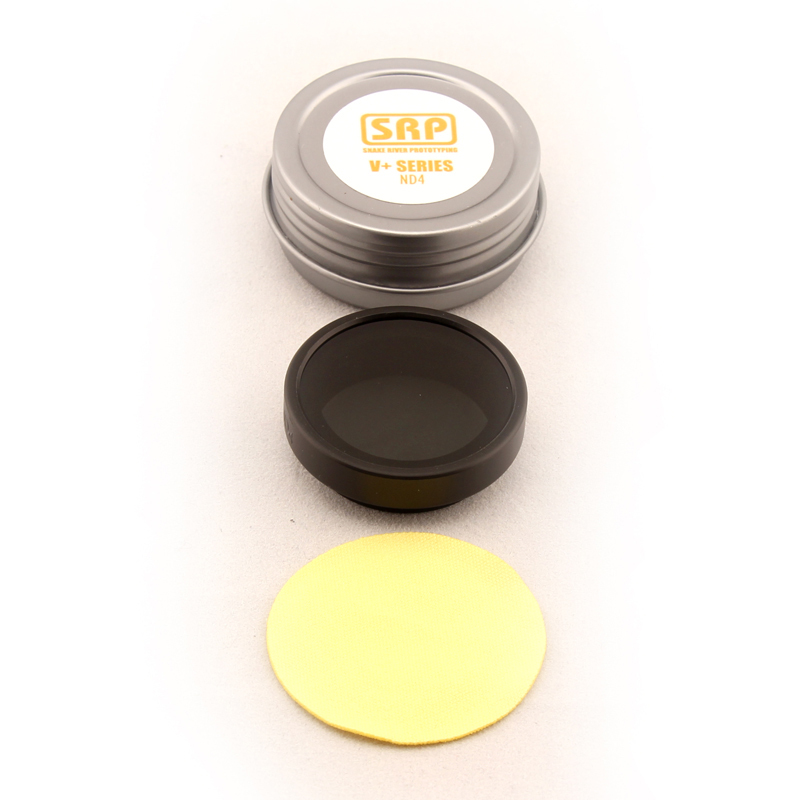 To insure a good fit, each V+ Series filter includes an o-ring on the inside diameter of the filter which will accomodate small variation in camera lens diameter. For a more detailed description of the V+ Series product line, reasons why filters are used with a digital camera, and V+ Series filter in-depth instructions, click here.